The National Highway Traffic Safety Administration's survey test of 11000 motorists across the country reveals a continuing decline in alcohol intoxication while driving. 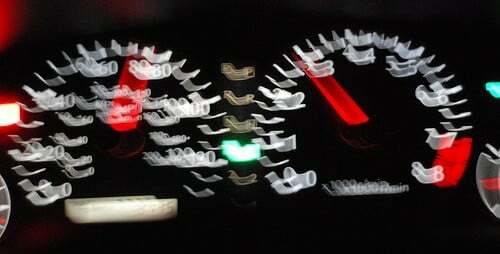 16.3% of weekend nighttime drivers, however, tested positive for drug use. An independent and non punitive survey study of drug and alcohol use by motorists reveals a sharp decline in driving while intoxicated from alcohol, but a high percentage of motorists test positive for drugs. The National Highway Traffic Safety Administration has been collecting voluntary blood and saliva samples, as well as taking blood alcohol readings, from motorists since 1973 to determine the scale of the driving while intoxicated problem. The administration uses police to stop motorists randomly, but then has agency workers approach each driver unaccompanied by a police officer. Drivers are asked to participate in a voluntary test for drugs or alcohol and are assured that positive tests will not result in sanction. Additionally, monetary incentives of up to $100 are used to increase participation rates. In 2007, 90% of 11 000 motorists stopped agreed to provide a breath sample and 70% gave a saliva sample, at 300 locations across the US. Although motorists testing as intoxicated are not arrested, they are not allowed to continue driving until sober. In 1973, 7.5% of motorists stopped had a blood alcohol content topping the legal limit of 0.08%. In 2007, the percentage had fallen to 2.2%, a result, say experts, of 3 decades of education and roadside traffic stop enforcement. Drivers were most likely intoxicated between 1 am and 3 am. Men were more often intoxicated than women, and people who drive motorcycles or pick-up trucks were most likely to test positive for alcohol. Although drunken driving has fallen sharply over the last decades, a large percentage of drivers test positive for drugs. This is the first time the Traffic Safety Administration has tested for drugs during their roadside survey protocol, so percentages cannot be used for comparison with decades past. 16.3% of nighttime weekend drivers test positive for marijuana, cocaine or prescription drugs (marijuana, at 9%, is the most commonly found drug, with about 4% of drivers testing positive for cocaine and 4% for prescription drugs). The tests issued do not reveal the time of drug consumption or whether the driver was intoxicated at the time of testing, simply that he or she had marijuana, cocaine or prescription drugs in the body.